If you’ve been surfing the Internet in the late 1990s and early 2000s, chances are high that you’ve come across a GeoCities website. For a lot of Internet users back then, the best and easiest way to express and share your opinions and views with the rest of the world was through a GeoCities webpage or website. There was no Facebook or Instagram to easily post your photos and rants for your friends and followers to see. So when Yahoo! Japan finally pulls the plug on GeoCities, a piece of Internet history dies with it. Yahoo! Japan announced that it will terminate the GeoCities service at the end of March 2019, citing profitability and technical issues. GeoCities was born in 1994 – or 24 years ago – and quickly became popular to early Internet users looking for a way to set up their own webpages. Originally, webpages built on GeoCities were assigned to different “cities” named after real places, such as Silicon Valley and Hollywood (example: www.geocities.com/SiliconValley/17362). It was later on replaced by Yahoo! member names in URLs (example: www.geocities.com/JohnSmith). In 1999, Yahoo! bought GeoCities for nearly $3.6 billion. Ten years later, Yahoo! announced that it was shutting down the US version of GeoCities, although the Japanese version would continue to operate. With Yahoo! Japan’s decision to shut down GeoCities, the rich and colorful history of the once-popular web builder is finally coming to an end. Nostalgic Internet users can still, however, access old webpages in all their glory using archival projects such as GeoCities.ws and the Internet Archive Wayback Machine. For early Internet users such as yours truly, GeoCities was an indispensable part of their lives. 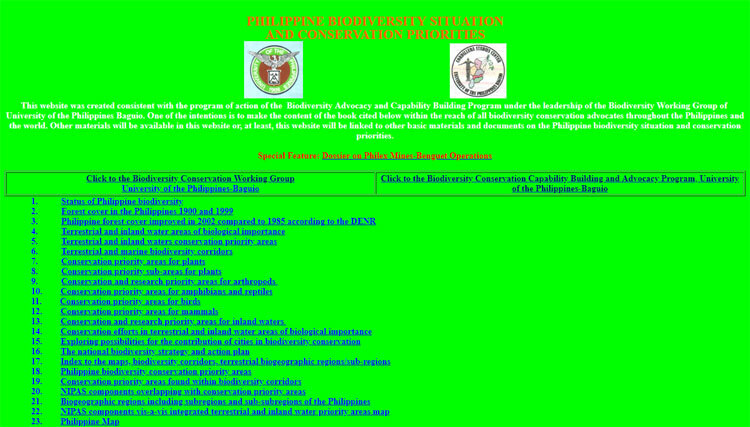 I remember creating my first basic webpage in 1999, using my rudimentary knowledge of HTML. Without GeoCities, it would have been difficult for me to learn web design and, later on, blogging. I moved to other platforms (such as WordPress) as soon as GeoCities fell out of fashion, but the latter is where I got my start as a web designer and content producer. I’m pretty sure that other early Internet users will miss the much simpler days of GeoCities and other web builders like Tripod (which is surprisingly still in business). Those were the times when people could slap together pixelated graphics, flashing text art, bright colors, and animated background images – and call it a website. People poke fun of GeoCities webpages nowadays, but they were the kings of the Internet during their heyday.